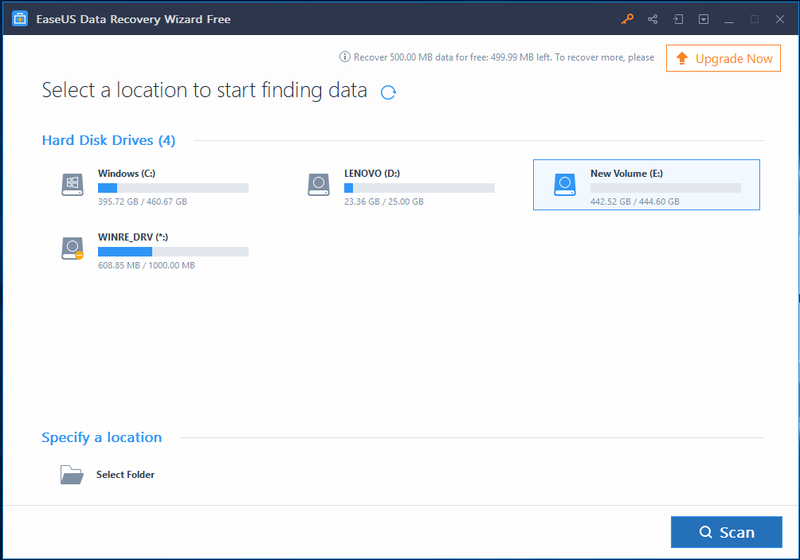 Home Reviews EaseUS Data Recovery Wizard: The Best Data Recovery Software? Data is precious. In fact, it is the world’s most valuable resource. If your phone or laptop is stolen, what would hurt you the most? Loss of your phone or your data? I’m sure you’ll miss your photos, videos, and messages more than your phone. You can buy a new phone, but you can not get your data back once it’s gone! Well, you can not do much if you lose your device and the data wasn’t backed up. But, sometimes we have the device with us and lose the data. There could be various reasons for it. Accidentally deleting a file or a folder, corruption of files due to some virus, formatting a hard drive without backing up the data and much more. However, in such cases, you can recover the data with a data recovery software. You can find a lot of data recovery software available in the market. Some are free while some are not. However, if you’ll search on Google about the data recovery software, you’ll find “EaseUS Data Recovery Wizard” on top. Hence, we decided to review it. Let’s see if it’s worth the top position. Tip: The desktop software should be installed carefully. Because the risk of installing a desktop application is very high as compared to using a web application. By installing a wrong software, you can compromise your data, network, and even account passwords. 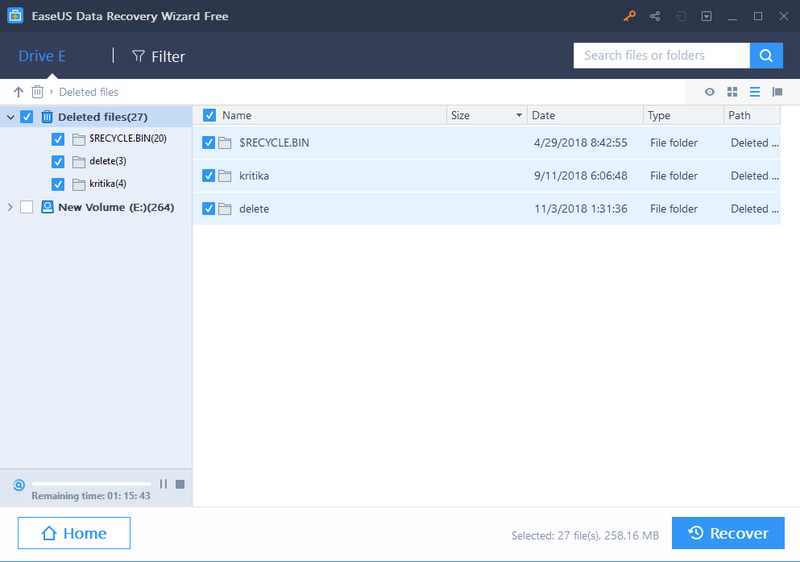 EaseUS Data Recovery Wizard has 3 different editions – Free, Pro and Pro + WinPE. Also, it is available for both – Windows and Mac. For this review, I used the free edition on Windows. 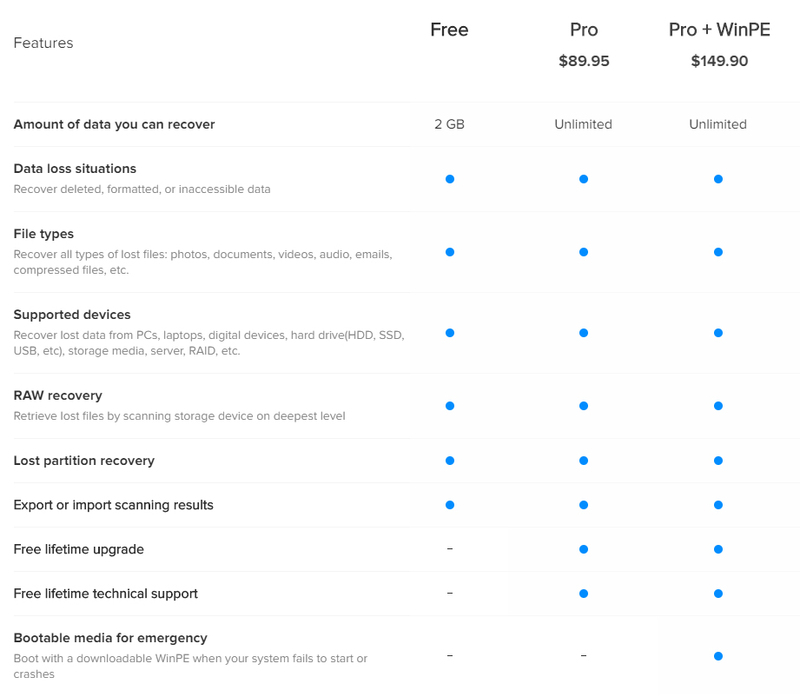 In the pro version, there’s no limit on the amount of data that one can recover, whereas, in the free edition, only up to 2GB data can be recovered. This is the only key difference between free and pro version. In pro version, you also get technical support, which is missing in the free version. Here is the brief comparison between different editions of the ‘EaseUS Data Recovery Wizard’ along with their regular pricing. Like most of the data recovery software, Data Recovery Wizard also has 2 modes – Quick Scan and Deep Scan. However, you can not choose the scanning mode. As soon as you select the location and click on scan, it will automatically begin a quick scan. And, on its completion, the deep scanning starts automatically as well. So, it’s very easy to use for those who haven’t used any recovery tool before as there are no options to get confused upon. The software also has preview mode which allows you to preview the file before recovery. You can filter the list of deleted files by file type. Sorting by name, size, date, and type is also available. You can even search files and folders. Also, the design of the software is very minimalistic and clean. In terms of capabilities, it can recover deleted files, formatted drives, lost partitions, corrupted files or even corrupted external drives. However, the software doesn’t scan multiple partitions or a full hard drive in one go. You have to specify a location to begin the scan. It could be a partition or a folder. Note: Everything cannot be recovered. So, I would suggest you to download the free version before and buy the pro version only if the file or drive you want to recover is recoverable. PC/Laptop, MacBook/iMac, Hard Drive, SSD, USB Device, Micro Card, Music Player, Digital Camera, etc. Photo: JPG/JPEG, PNG, BMP, GIF, PSD, CRW, ORF, RAW, SVG, etc. Video: AVI, MOV, MP4, 3GP, WMV, FLV, MPG (MPEG), MKV, etc. Documents: DOC/DOCX, XLS/XLSX, PPT/PPTX, PDF, HTML, EPS etc. Music: AIF/AIFF, M4A, MP3, WAV, WMA, MID/MIDI, RealAudio, MPG, OGG, AAC, etc. Other Files: Emails, Archives (zip, rar, iso, etc. ), SIT/SITX, EXE, DMG, etc. I ran the test on multiple partitions (all NTFS formatted) and on multiple devices. The quick scan test took less than 5 seconds for all the partitions. The deep scan test, however, took quite long, ranging from 4 minutes to 2+ hours. It took 4 minutes for an almost empty partition (25GB) while it took more than 2 hours for a 700GB Partition. During the test, I was able to recover all the files I deleted for this test. However, I can not guarantee the same results every time as this was a very small test and only recently deleted files were recovered. The time it took was less in comparison to the other data recovery tools available in the market. One more thing I liked about the software is that you can save the scan session and recover files later on. However, the software is made up specifically for data recovery. Some more advanced options are missing, such as cloning. 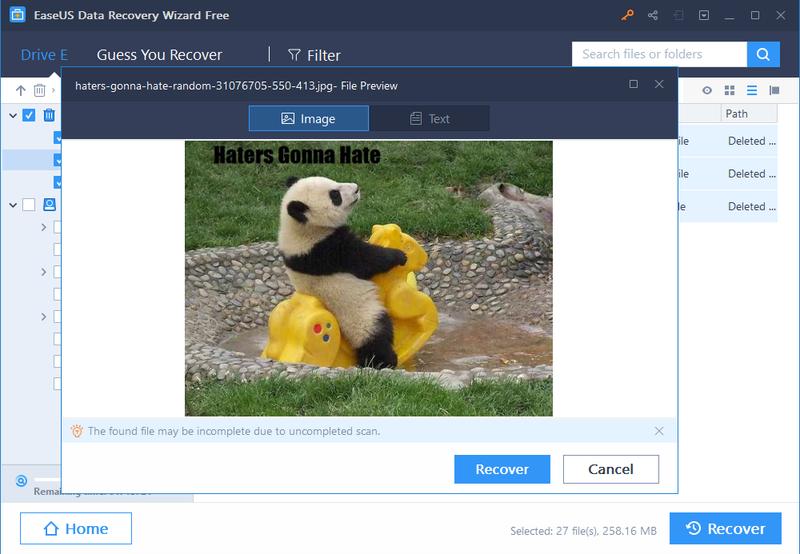 EaseUS Data Recovery Wizard is a great file recovery software. It is fast, easy to use and does the work. You can use the free version if you want to recover less than 2GB data. However, even if you’re planning to purchase the pro version, make sure you download the free version first and check if it’s even possible to recover the files. Else, you may end up losing your money. If it works for you, just like it did for me, this software is a total value for money. The flexibility it offers in terms of data recovery is amazing and impressive! If you have any questions regarding the software, you can ask them in the comments section. I would try my best to answer them.